Due to an abundance of natural resources and a successful tourist industry, Fiji has one of the most developed economies in the South Pacific. Yet, despite its above-average economy, as many as 25 percent of Fijians live below the poverty line. Fijian fruit vendors know all too well that their ability to support themselves and their families is dependent upon their ability to peddleproduce. So, each morning they line up amongst the other vendors, hoping to sell enough fruit to, in turn, purchase other goods. Several years ago, I had the opportunity to work with a not-for-profit organization whose mission was to assist individuals, such as those in Fiji, fight poverty. Each year, the organization sent hundreds of volunteers -- most of them college students -- to various locations throughout the globe to work with locals on various development projects. One of their areas of focus was teaching basic business concepts so Fijian fruit vendors and others were able to support themselves more effectively. As I discussed areas of success and possibilities for improvement with these volunteers, they told me about a key concept they had learned from the villagers when it came to business. Upon arriving at the market, it quickly became apparent that all vendors of like products or produce situated themselves next to others selling very similar products. All banana vendors set up stands and carts next to other banana vendors, all fish vendors set up next to others selling fish and so forth. As the volunteers worked with the mango merchants to help them become more effective, they taught the vendors a basic concept which was, surprisingly, a new piece of knowledge -- that of differentiation. The concept of differentiation was basic to most of the young volunteers, who grew up in the U.S. After all, everyone knows that you don’t build a McDonald’s restaurant next to another McDonald’s, right? You must find a way to differentiate yourself from those around you -- location, product, price, etc. Yet, in this marketplace, the mangoes sold by one vendor were identical in price, quality, size, and every other way to the mangoes sold a mere four feet to the right or four feet to the left. And, next to those carts were similar carts, each selling identical mangoes -- most of them from the same origin. The volunteers had a simple, yet powerful idea. What would happen if one of the vendors set up shop the next morning in a location separate from his produce compadres? By simply moving out of the “mango section” and into another area, the vendor might gain some differentiation by having mangoes available to those who were purchasing, for example, fish. It seemed like a good idea (at least according to what they were learning in business school), and they found a vendor who, hesitantly, agreed to try it. The next day, he moved his cart to another location, and the strategy appeared to be working. That is, until the following day. 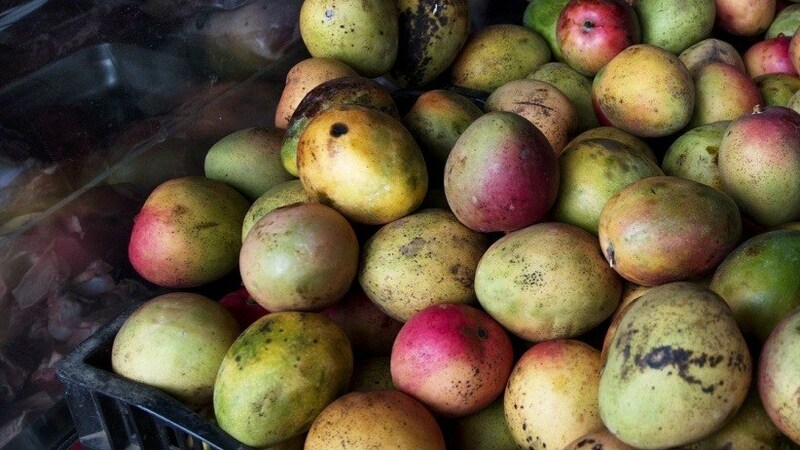 Upon arriving at the market the following morning, the volunteers noticed that the mango seller had again returned to the area in which his colleagues were located. “Surely the new location was better for the hawking of mangoes than was the location with all the other mango vendors,” reasoned the volunteers. However, they also learned something important. For these vendors, their daily stint at the market was not simply limited to produce transactions. It was about connection. The volunteers learned that the market was, for these individuals, a place where they could connect with others, even if they were, technically, competitors. They were more engaged by the social connection -- one that had been there for many years -- than they were by a monetary exchange, even if it meant fewer Fijian dollars went home that evening. Interestingly, the volunteers did not indicate whether the lone vendor’s day-long move had been profitable; it didn’t matter. There was something of greater importance. For the mango sellers, connection was a powerful motivator. This need for connection isn’t limited to Fijian mango vendors. Several years ago, the UN released some interesting findings. According to the report, of the Earth’s 7 billion inhabitants, 6 billion have cell phones -- possibly not surprising, until you learn that only 4.5 billion have proper sanitation. Is that right? 1.5 billion people have cell phones, but no toilet or sanitary waste disposal? What does this say about the importance of being connected? We find similar results in our work in understanding the employee experience; the importance of connecting to something beyond oneself and its influence on engagement. A significant majority of employees cite a social connection to the workplace as a major factor (if not the primary reason) as to why they choose to remain with their current employers and a critical component of their overall employee experience. Is connection really that important? Ask your employees (or your local mango vendor). You can probably reach them by cell phone.